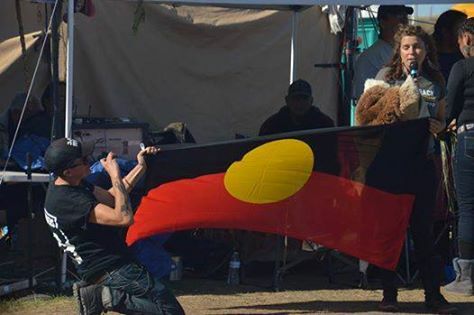 Now, it’s a global indigenous movement. 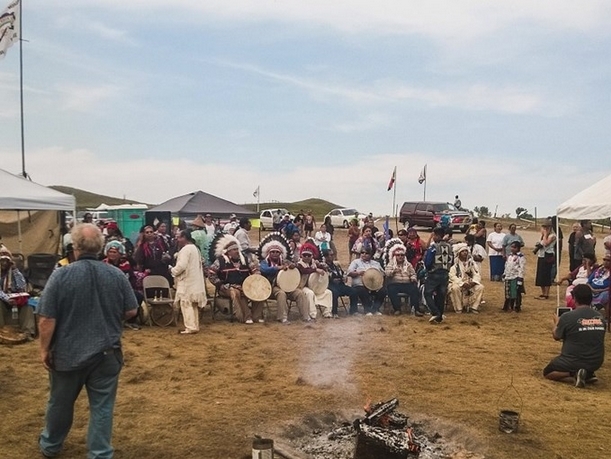 Members of tribal communities from around the world have joined in activism led by the Standing Rock Sioux Tribe. 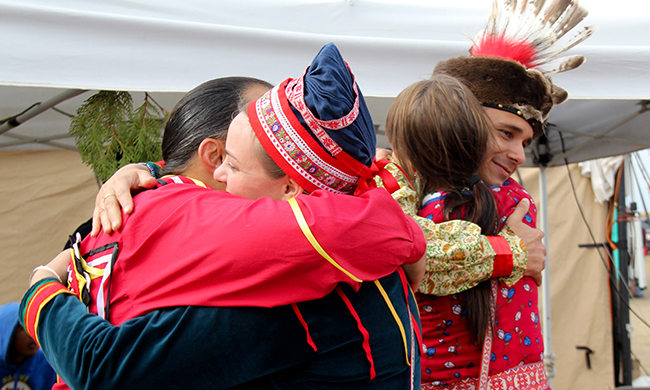 A Sami group from Norway was the latest to arrive on Friday. 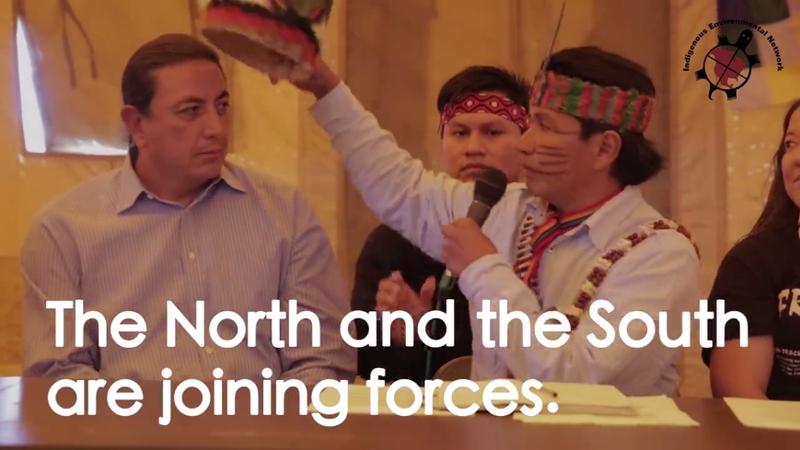 This resistance campaign, many say, has emerged as part of a greater global crisis—a united struggle in which indigenous lands, resources, and people are perpetually threatened by corporations and governments often using military force. Integral to this shared narrative is the routine ignoring of treaties. 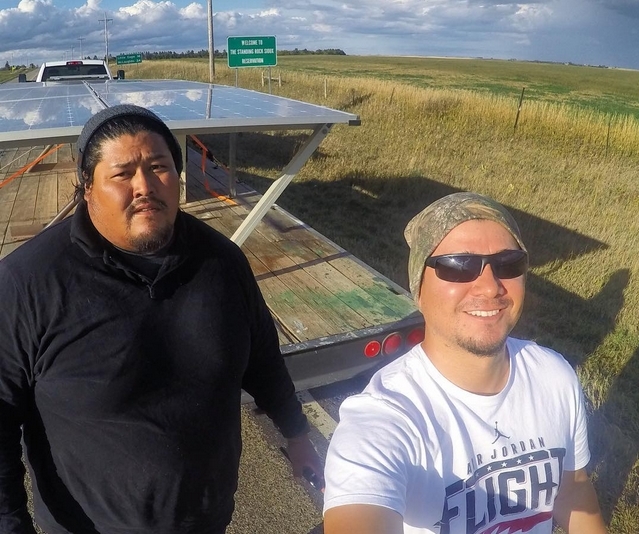 Brett Isaac and Doug Yazzie (Navajo / Hopi and Navajo, respectively) were pondering the best ways to contribute to the fight against the Dakota Access Pipeline construction when a camp contacted them regarding support in the form of energy. Apache Stronghold Solidarity with Standing Rock Against Pipeline . 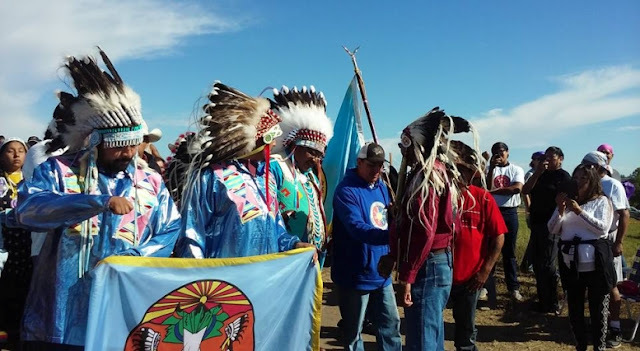 Responses to "Standing Rock: Unprecedented Unity of Indigenous Nations and People"
I am prayerful for all the tribes and Nations attending Standing Rock, I am a white Elder who carries the Maya Spiritual knowledge and wisdom of Wandering Wolf. I am with you all in spirit and from a mountain in Andalucia, Spain. Strength in numbers! Keep on building your resistance - love to you all! thank you. I am building hope again that we can save our Mother Earth. Thank you from the depths of my heart for my children and their children's children, the fate of our beloved Mother Earth, and if I were able to return to America now, I would join you there! Thank you! Save Mother! Sending love and light. Time for the modern world to start listening to our elders. 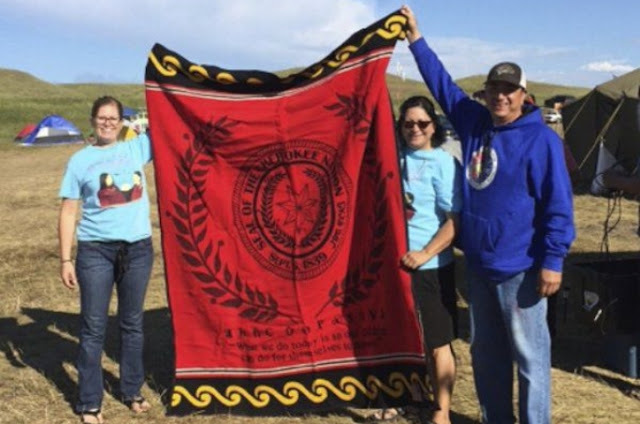 We owe great respect to the indigenous peoples and those supporting them in person at Standing Rock. Sending light, love and hope to the warriors. Not a member of an Indigenous nation...however I support your movement 100% and if I could I would be there stand tall with you. Good luck in your endeavours - may the message get to big corporations that the World says NO! Praying in support of water protectors from high arctic inuit.I'm following what is going on and praying as I repost many reports that come to my feed. 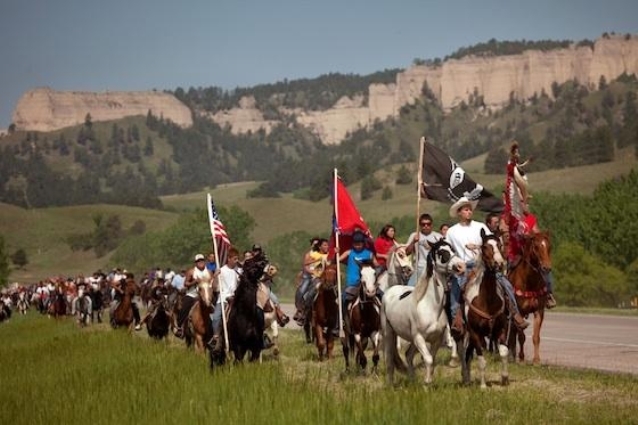 I support the tribe against the pipeline .. so totally wish i could be there to show it ... I am there in spirit!!! Standing with you all in your righteous struggle. From myself and my whanau here in Aotearoa New Zealand, stay strong and proud. May you all love and support each other. Arohatinonui Sharon Cooper. Mother earth has a voice through this coming together of this rainbow tribe...may the great spirit bless you all! Stand strong and stand proud and know that your Irish brothers are with you in spirit n prayers, amy our mother earth protect you n may the wisdom of all the races be given to you in this most heroic of stands!!! We here in South Africa did a prayer for you in Johannesburh last night! United we shall stand! The sami have no claim to any lands in Scandinavia, there were germanic tribes here long before the sami emigrated in from the east. 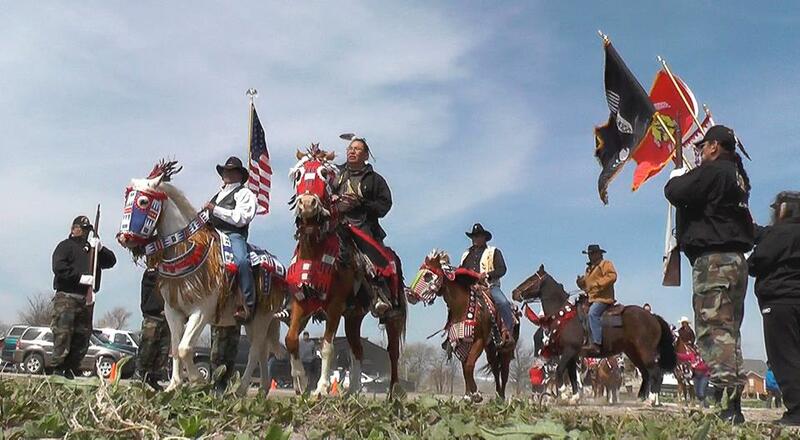 Their "plight" is a hollow and false one and can in no way be compared to that of the natives in the Americas. Not Indigenous but follow the teachings taught to me by an Apache Elder. Praying for you everyday and at every prayer circle meeting. Please stay strong. People need to understand this does not effect just you, but all of us, and our future generations. Poison the water and land, poison beast and man! Americas, North, Central and South that rest in seeing the Creator-Great Spirit as being in every aspect of our world, nature. WE ARE ONE WITH ALL CREATION, MY DREAMS, PRAYERS GO THE PEOPLE WHO HAVE TAKEN THE SACRED RESPONSIBILTY OF BEING THE GUARDIANS AND PROTECTOR OF THE EARTH, A ROLE MODEL FOR US. I have wrote representatives on my feelings , this I feel is way passed due. Government has pushed our Native American over and over again. Time to leave him to his land and find another way. Stop destruction of mother earth as well.. God Bless and Be with each and every one!! 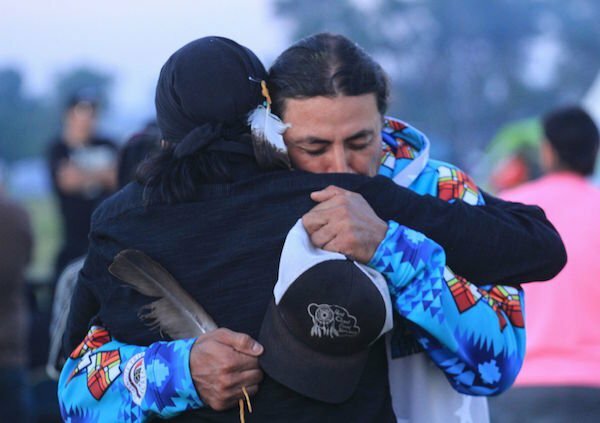 My spirit soars seeing indigenous peoples and everyone coming together as one as it should be to stand against those who would destroy our Mother and our life giving water at the request of big oil? Strength is in what is right and this is so right!!! The world knows and what happens here will define us as a Nation. Thanks a lot for standing up for a future worth living for. Wish you all the luck and strength you will need when facing the destructive forces that have governed us for far too long! Thumbs up from Flanders (Europe). Soul of America wakes up. Watching and admiring. Stand toll, stand in peace. Stand safe. Selam from Istanbul.